By 2020, 30% of all website sessions will be conducted without a screen. Now, you may be asking yourself, how is that possible? It turns out that voice-only search allows users to browse the web the Internet and consumer information without actually having to scroll through sites on desktops and mobile devices. And this new technology may be the key to successful brands in the future. Voice search essentially allows users to speak into a device as opposed to typing keywords into a search query to generate results. 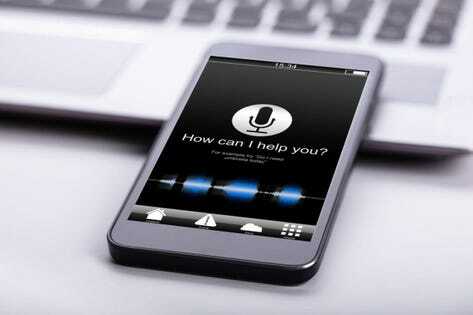 Audio technology uses speech recognition to understand what users are saying with extreme precision. It then delivers results orally to the user. Although it seems like a brand-new concept, voice search technology has been around for a while. Programs such as speech-to-text and voice dialing are great examples of voice search. In addition, programs such as Google Assistant, Siri, Microsoft Cortana and Amazon Alexa all utilize voice search capabilities. Although specific devices can be optimized for voice search, brands, platforms and websites can be optimized for it as well. For example, Amazon Alexa can seamlessly search through Spotify’s musical inventory, scan Wikipedia or shop on Amazon quickly at a user’s command. That demonstrates how certain brands chose to optimize their interfaces to be compatible with voice search. Voice search drastically improves user experience – and because of that, by the year 2020, half of all online searches will be made through voice search. Due to its prolific use, search engines such as Google are placing a higher emphasis on voice search optimization. After all, the point of SEO is to rank websites accurately so users can find the best information for their search query as quickly as possible. User experience is, ultimately, at the forefront of search engine optimization. By January 2018, there was an average of one billion voice searches every month, proving that voice search is on the rise. But it is important to remember that voice search SEO and traditional website SEO are different. Therefore, some factors that affect website rankings may or may not have the same effect on voice search – and vice versa. Luckily, there are some tips that can help you balance the two SEO strategies and rank your website for search listings and voice search. When users use voice search, they are typically hoping to complete an action – such as playing a song or purchasing a product – or information on a subject. But despite the two different intentions, Google uses the same algorithm to rank sites. Below are 5 simple steps to improve voice search rankings, no matter your goal. Your site is responsive and works well on mobile devices. You utilize website caching to improve page speed. Your server’s response time is reduced. And other tasks that speed up traditional websites. When users search for content on desktop or mobile, they tend to write in short, almost bullet-pointed phrases. For example, if a user wanted to find a great web designer, they could type “top web design companies” into Google. To ensure your content is optimized for voice search as well, include those long-tail keywords that sound more natural as opposed to shorter, snappier keywords that perform well in desktop SEO. Plus, keep phrases short and simple. Voice search results are typically written at a 9th-grade reading level at most. So, although your information may be high-level, break it down in a way that is easy for anyone to comprehend. Pro tip: Although phrases should be short, long-form content still ranks better on both voice search and traditional search listings. Aim for web page content that lands between 1850 and 2500 words. The average voice search result is about 29 words long. But although we know that shorter answers perform better, how can we guarantee the content Google will identify and read to users? Create a featured snippet, of course! A featured snippet – also called position zero, answer box, or quick answers – is essentially a summary answer from a web page. In desktop search listings, these snippets appear just after the paid ads but before the regular search listings. To optimize your content for an identifiable featured snippet, include a concise summary of your main content above the fold under 29 words. Sections that use H-tags, lists, and bullet points are easily readable by Google and thus perform well. Plus, be sure to include your long-tail keywords within the featured snippet. 22% of voice search queries are looking for location-based content. Therefore, brands have a higher chance of producing voice search content if they invest in local content. Does Voice Search Drive Website Traffic To My Website? Although it doesn’t appear that voice search results directly contribute to an uptick in your Google Analytics reports, it does drive traffic to your website! Firstly, when Google reads results from voice search listings, it gives sites a shout out through a simple “According to ___”. This, of course, increases brand awareness. In addition, users can scroll through written dictations of search results, which include links to the websites used as resources. This enables them to navigate to the site traditionally and increases organic traffic when they do so. Finally, voice search can improve other important metrics, such as online sales or media plays on websites like Pandora and Spotify. Can I View My Voice Search Ranking? Voice search is important to increasing brand awareness and conversions. So, can you view your voice search rankings to see where you’re at and make improvements? Well, the long story short is, probably not… yet. In January 2018, it was reported that a digital agency called Roast built an automation software that enabled them to run various queries and report on results for their clients. Although this report isn’t perfect and a little rough around the edges, it will likely pave the way for more accurate voice search ranking reports in the future. Until then, my best advice is to keep optimizing for SEO and voice search SEO best practices. Eventually, you’ll be able to view concrete reports showing the fruits of your labor and make more specific improvements. Investing in voice search optimization is proven to improve brand awareness, online purchases and revenue. In fact, one study found that voice search eCommerce resulted in $1.8 billion in Amazon revenue. That figure alone is expected to increase to $40 billion by the year 2022. But despite the ever-growing prominence of voice search, its popularity and professional use are still on the rise. But if you optimize your site for voice search now, you’ll likely be ahead of the competition and see strong voice search rankings that will effectively grow your brand long-term.